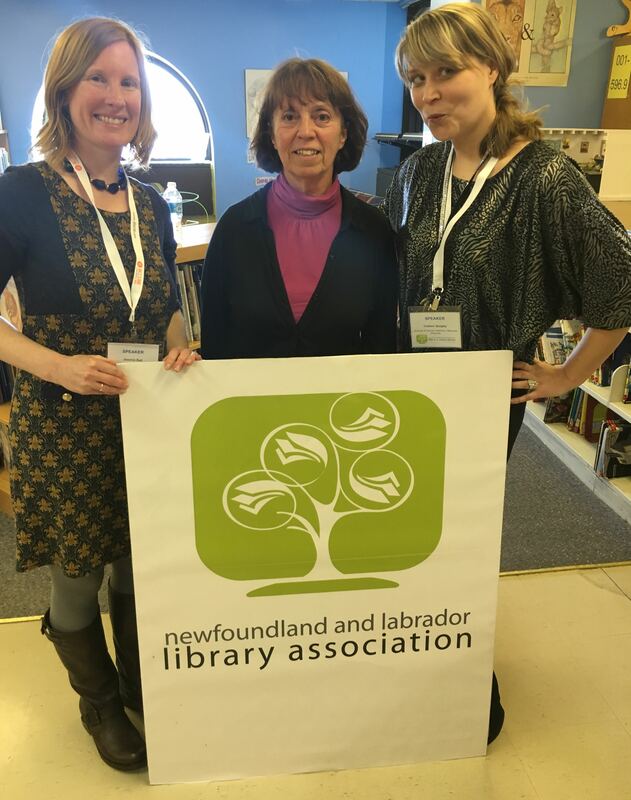 NLLA members from across the island gathered for the 2016 Annual Conference at the A. C. Hunter Public Library in the new community room on Monday, May 9. 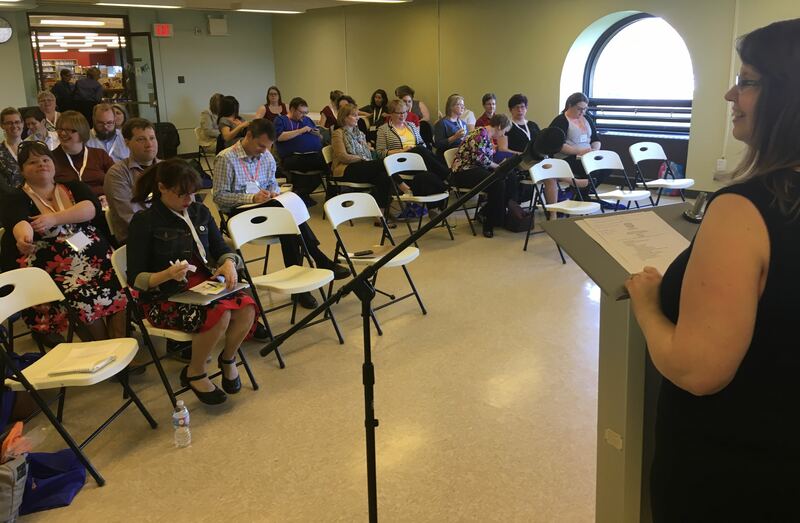 We kicked it off with an excellent and inspiring keynote, Anna Swanson, who, in keeping with the conference theme “Creating Communities”, spoke about the value of community engagement for libraries. 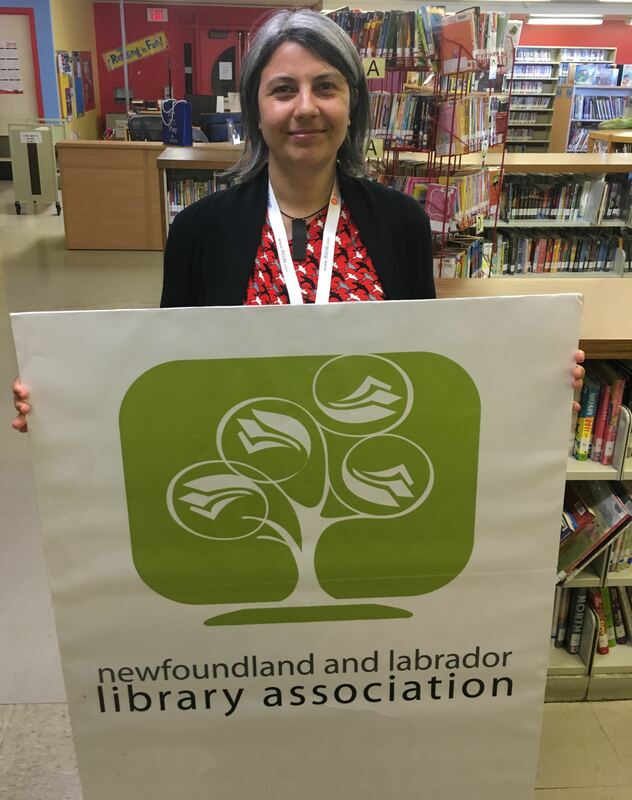 Anna is the Provincial Selection Coordinator at the Newfoundland and Labrador Public Libraries. 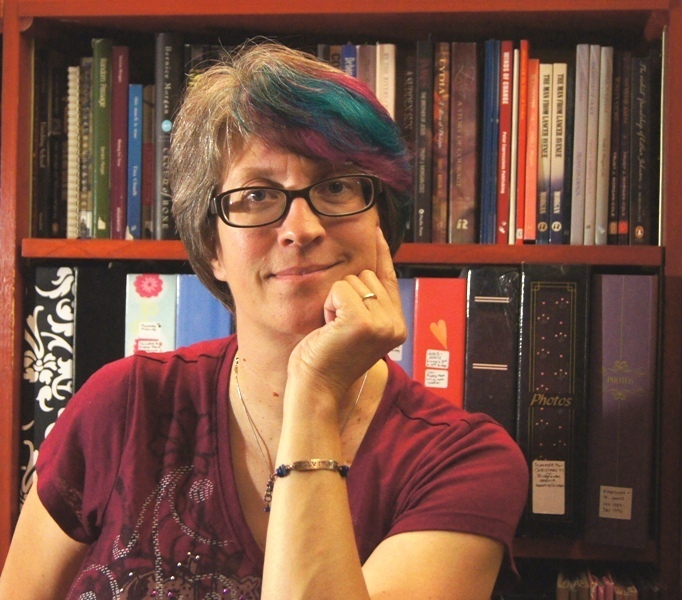 She has a long-standing passion for community engagement, including working with community arts festivals and Community Living programs. 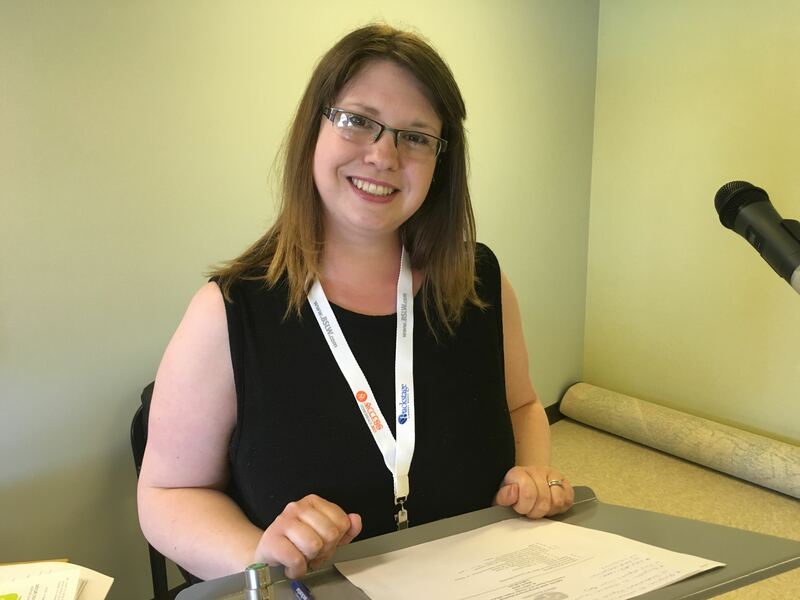 She told us about her “Welcome Project“, the library’s partnership with St. John’s Local Immigration to bring newcomers multi-lingual library materials. Also presenting that morning was Patrick Gamsby, Scholarly Communications Librarian at Memorial University, who presented a paper on Open Access and Interdisciplinary Scholarship, and Julia Mayo, Marjorie Mews Public Library Branch Manager, who delighted us with her presentation “Bringing the Community to the Library and the Library to the Community.” Panelists Beth Maddigan, Education Librarian, Memorial University Libraries; Kate Shore, Librarian, Janeway Resource Centre, Eastern Health; and Courtney Penney, Regional Librarian, Newfoundland & Labrador Public Libraries Central Division had a lively debate about the challenges and successes of community engagement at their respective libraries. After a delicious lunch, President Amanda Tiller-Hackett led a spirited annual general meeting. 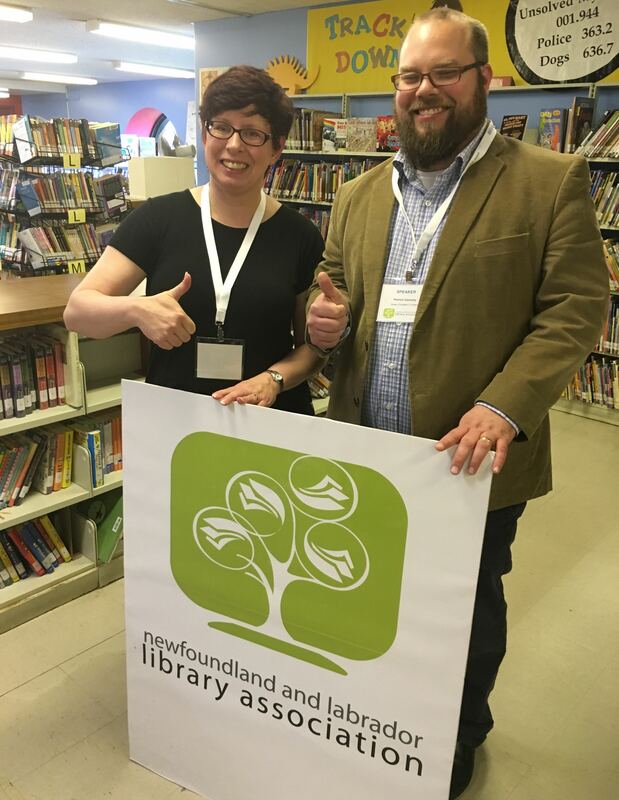 On the agenda, the cuts to the province’s public library system. 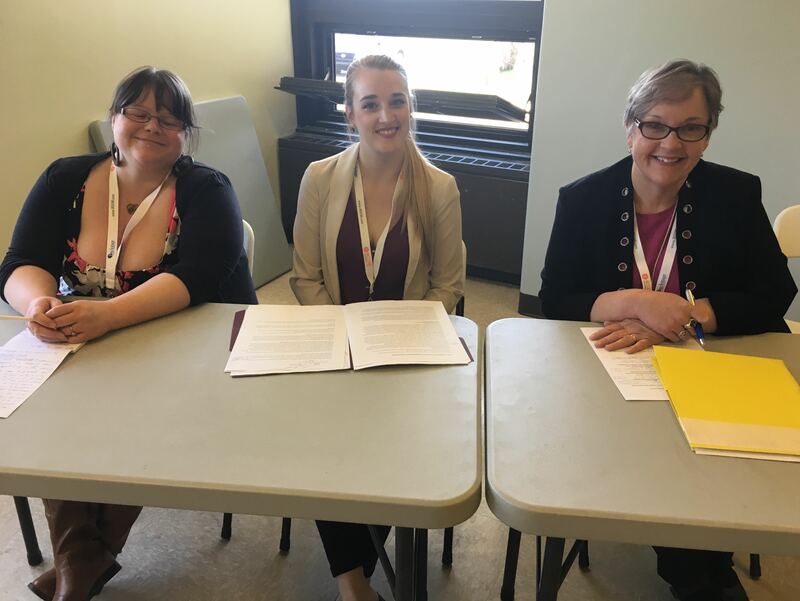 Afternoon presenters included, Jeannie Bail, Colleen Quigley, and Linda White from Memorial’s Archives and Special Collections who presented on Cultivating Community through Social Media, and Amanda Tiller-Hackett, Erin Alcock, Diane Keeping, Alison Ambi and Pam Morgan, who discussed communicating journal cancellations at Memorial University, as well as some “lightning round” presentations from Crystal Rose, Heather Pretty and Lorna Adcock. 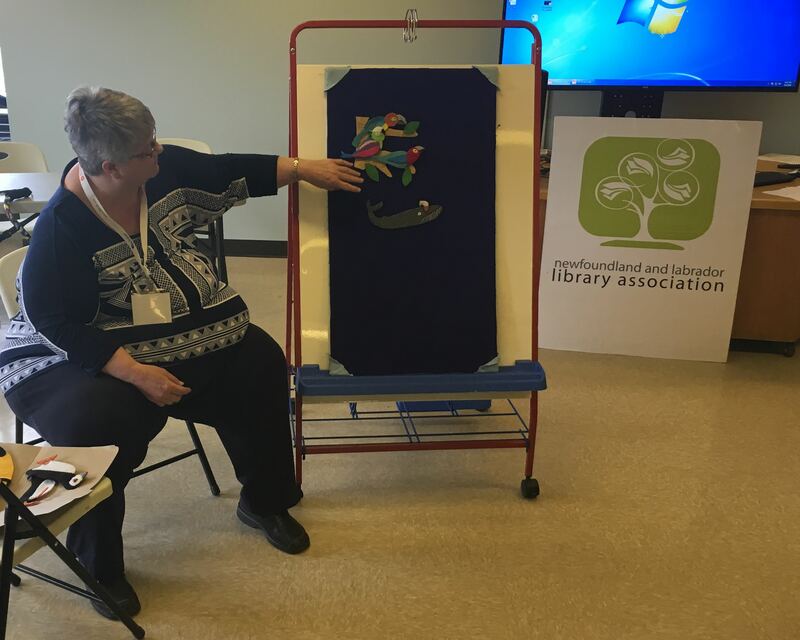 Finally, Newfoundland and Labrador Public Librarian Jewel Cousens, showed off her newest felt story creation, Puffin Peter. 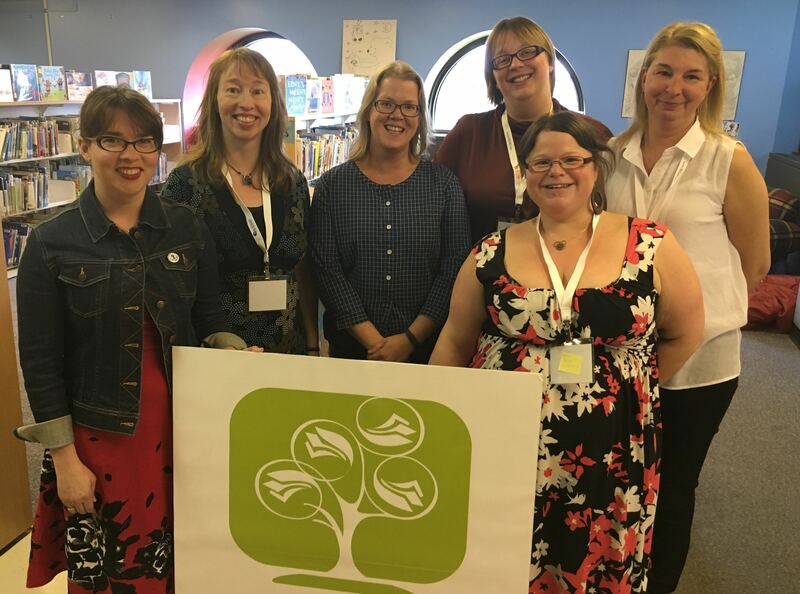 A big thank-you to the 2016 Conference Planning Committee members: Krista Godfrey, Wendy Rodgers, Stacey Penney, Janet Goosney, Kate Shore, Donna Inkpen and Jewel Cousens!